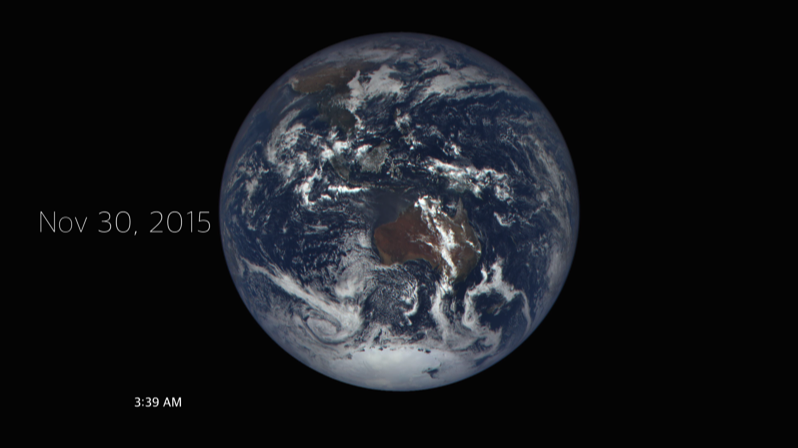 Bring the wonder and majesty of our planet into your home thanks to NOAA's newest space camera. 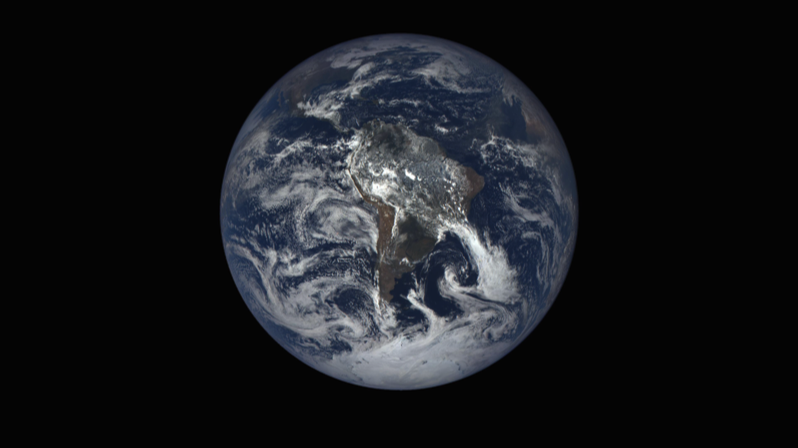 The EPIC (Earth Polychromatic Imaging Camera) is onboard NOAA’s DSCOVR (Deep Space Climate Observatory) spacecraft, and sends back a series of photos of the Earth, taken throughout the day. 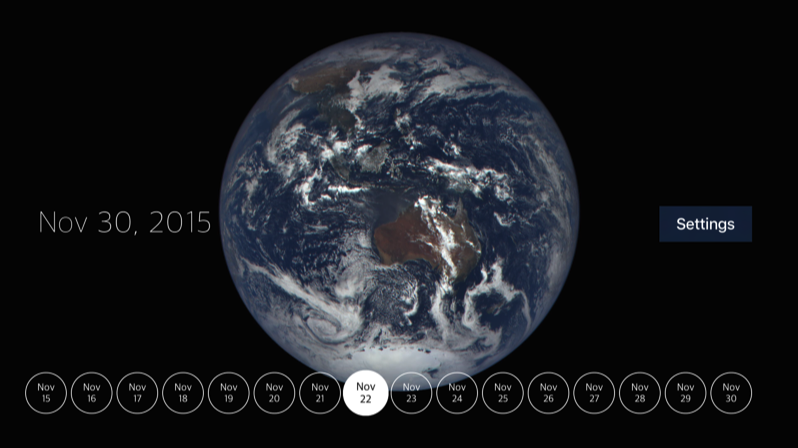 Our Big Blue Marble allows you view the latest photos, or choose a day from the archive. Press and hold the Play/Pause button to bring up a convenient date picker. 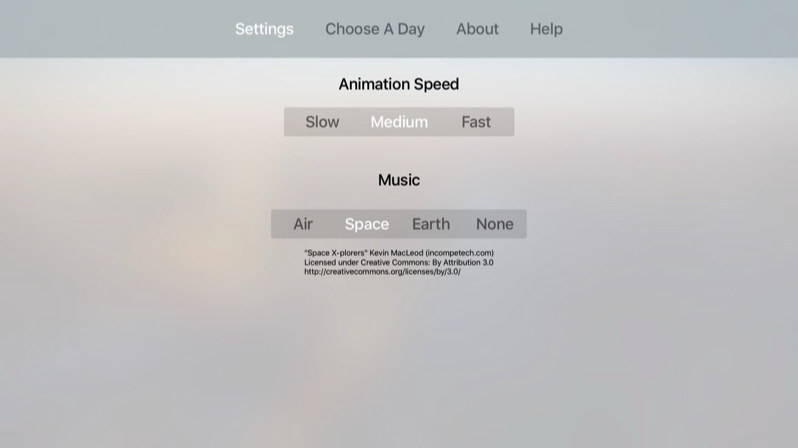 Choose a day to view from all available days, or access the settings screen to choose the animation speed and music. Images are not necessarily available every day from NASA, and since it takes an entire day to capture the images, images are generally available 24 hours later. 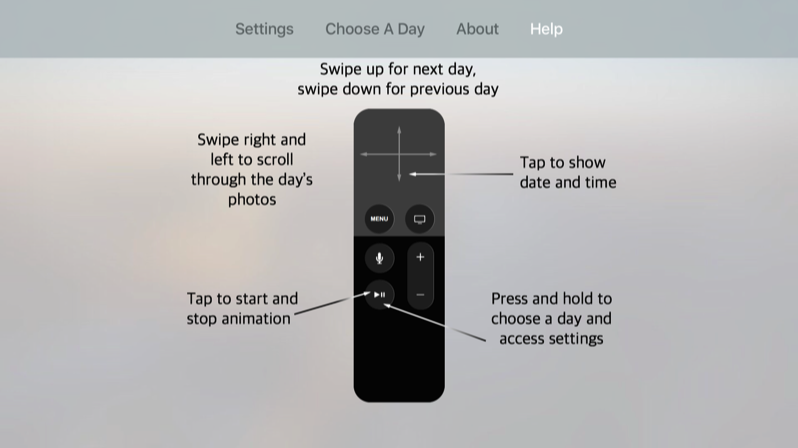 Use the Siri Remote to control the animations and choose different days. You can show the date and time each image was taken, or turn off all extra information and just watch the world spin. You can animate the images (with three different speeds), or just swipe right and left on the touchpad to advance between images. Choose between three different animation speeds and atmospheric background music.